Yet another bit of the Obama legacy has to be plucked up by the roots and cast away–before it starts killing people. Incredibly, the Obama Transportation Dept. and Federal Aviation Agency scrapped the rigorous testing regime that for long had governed the hiring of air traffic controllers–and replaced it with an easier test to “prioritize diversity” (https://fellowshipoftheminds.com/2018/06/04/faa-endangers-public-safety-by-emphasizing-diversity-over-competence-in-selection-of-air-traffic-controllers/). Because somehow the great idol of “diversity,” at least to the libs who worship it, is so much more important than getting airplanes safely from the air to the tarmac. The new test gives applicants a bonus of 10 points if they say their worst subject in school was science (! ), and another 10 if they can say they haven’t been working lately. It’s backed by a union with a big purse for political campaign contributions. Getting the planes up and down without crashing, especially in the crowded skies over the airports, is an exceedingly difficult job requiring the highest competence. It has nothing whatsoever to do with any kind of “diversity.” Slacking off on smarts and skills is playing with people’s lives. Please remember stuff like this the next time you have the opportunity to vote. Never, never, never allow Democrats back into power. And pray the Trump administration is able to put a lid on this folly before any of these new diverse air traffic controllers who stink at science can find their way to a control tower. This entry was posted on Monday, June 4th, 2018 at 5:01 pm	and tagged with "diversity" as an idol, air traffic controllers, government follies, insane public policy, liberals vs. America, Obama legacy and posted in news. You can follow any responses to this entry through the RSS 2.0 feed. There should be a complete boycott of all airlines that participated in this outrageous nonsense! Meanwhile, Obama and all cohorts who were involved in crafting and passing such dangerous policy can take advantage of all the empty seats. Are you kidding? They fly on private jets. We can only hope their private jets and their diverse air traffic controllers come together. I would hope, but many people prefer to keep their heads in the sand. I haven’t flown in many years and have no desire to fly, unless it’s a matter of absolute necessity. I’m not impressed by a lot of what has happened in the industry and fear the the birds could come home to roost. Modern planes are marvels of technology. They are all but self-flying and this no doubt contributes to safety, but sadly the stick and rudder skills of some pilots are not up to the standards of the past and that scares me. I know from first-hand experiences that airplanes can fail and getting back to the ground requires a lot in the way of skill and understanding of the aircraft’s systems. I’m with you there for sure! My dad had his private pilot license and took us up sometimes. Of course, I trusted him. I can’t say as much for commercial pilots (Sully excepted of course – brilliant!). Only a couple miles from where I live now that commercial commuter plane came down on a house, allegedly caused by a pilot who didn’t know how to de-ice the wings. About 50 people died. That doesn’t sound like experience. And of course there’s the matter of the intrusive perverts at the TSA. That crash was a bad one. As I understand it, they crashed more from pilot error than from icing. Fatigue was cited as a cause and some questioned the pilot’s record. I don’t know all the details, but that was an ugly one. Air Traffic Controller is one of the most demanding jobs in existence. They work in an unforgiving environment and an error can cost literally hundreds of innocent lives. They are chronically overworked and almost always under appreciated. It is not a job where anyone should be hired unless they are absolutely up to the task, it/s just too unforgiving. Beyond the technical skills required, there is also the communications and interpersonal skills which are required. A controller has to be diplomatic and capable of very precise communications. When I flew, I was always impressed by the professionalism of the ATC people I dealt with. If they are giving preference to high school sports or years of unemployment over preference to pilots, I just don’t know. At one time I thought about becoming a controller and using my pilot training in that manner, but I decided that it was just too stressful of an environment and I wanted a more peaceful career. They should hire the best qualified and train only those people who have an affinity, without regard for race, creed, color, etc. This is just one of the reasons I am no longer active as a pilot. There are many in the aviation community that fear a breakdown of the ATC system. Ground operations are a source of serious concern. The worst accident, in terms of loss of life, was a ground ops accident on Tenerife, Canary Islands in 1977. 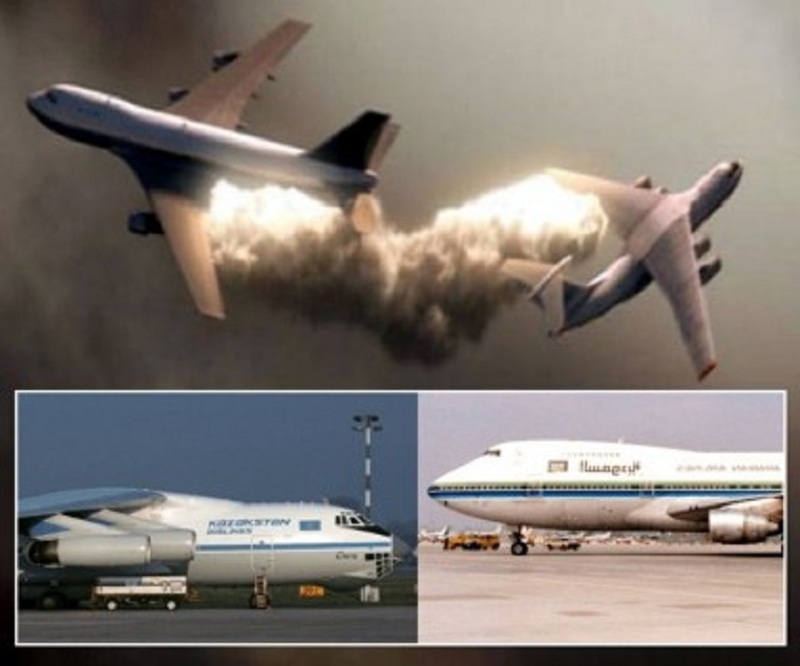 A couple of loaded wide-bodies colliding on the ground could be catastrophic and with some of the larger planes in operation today the 583 lives lost at Tenerife could be eclipsed, leading to a truly horrific loss of life. ATC is no place for social experimentation. Neither is the military, but that doesn’t stop libs from using it as a laboratory. Divorce, divide, diversity… these words all have something in common. They all have the same prefix “div” which means to separate. And that’s what diversity does, it divides and separates us. I kind of want to be separated from leftids. This is so so dumb and dangerous! Tucker Carlson is hitting this subject on his Fox show head on, and promises not to let up because it is so unacceptable. The night line of at Fox anchors knows that President Trump tunes in to them when he can. It will probably take a couple of serious accidents caused by these unqualified traffic controllers before anything gets changed.